This award is presented occasionally at the annual North American Symposium on Bat Research to persons in recognition of outstanding service and contribution to the field of chiropteran biology. The award is named after Gerrit S. Miller, Jr., an outstanding early twentieth century bat biologist at the Smithsonian Institution. Miller's work on the evolutionary relationships of chiropteran families and genera to one another still strongly influences taxonomic thinking about bats today. Tigga Kingston is an Associate Professor of Biology at Texas Tech University. Tigga received her BSc (Hons) in Zoology from Royal Holloway University of London (UK) before moving to the US for a PhD in Ecology, Behavior and Evolution at Boston University. Her PhD research focused on diversity, extinction risk, and structure in an insectivorous bat assemblage in Malaysia, which she then expanded to a landscape-scale perspective for her post-doc. Tigga took a position at Texas Tech in 2006 and runs an active lab of international and US PhD students. Tigga attended her first NASBR at the joint meeting with IBRC in Boston in 1995 and has attended regularly ever since. As of 2018, she had authored over 60 scientific publications on bats. 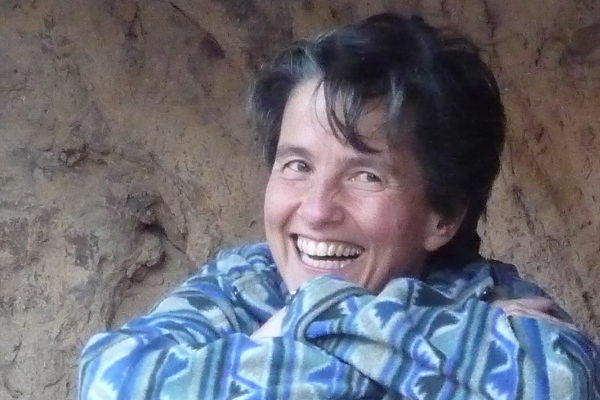 Her research centers on the study of bat diversity and the processes that maintain it in intact ecosystems (community ecology), and that influence species loss or persistence in the face of human disturbance (conservation biology). Her work focuses primarily on the insectivorous bats of the Old World tropics (Southeast Asia and Africa); a species-rich group that occurs as highly diverse assemblages in the threatened rainforests and karst systems of the regions. She takes an integrative approach that combines studies of functional, reproductive, landscape, community and microbial ecology to understand community assembly and disassembly in response to anthropogenic changes to habitat. Since Tigga is committed to building scientific capacity in the tropical bat hotspots of the Old World and established and leads a regional network of bat researchers in Southeast Asia (Southeast Asian Bat Conservation Research Union) and serves as the co-Chair of the IUCN SSC Bat Specialist Group with responsibility for the Old World. Human behavior is central to diversity conservation, and more recently her interests have expanded to integrate social and biological components of human-bat interactions that threaten species survival, notably flying fox hunting in SE Asia and West Africa and conflict over fruit crops. 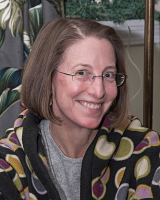 Dr. Sharon M. Swartz is a Professor in the Department of Ecology and Evolutionary Biology and in the School of Engineering at Brown University. She received a BA from Oberlin College in 1981, a MS and a PhD in Evolutionary Biology from The University of Chicago in 1985 and 1988 respectively. She moved to Brown in 1990 where she was promoted to the rank of Professor in 2010. She, her students and post docs have a strong record of presentations at NASBR about the biomechanics of flight. 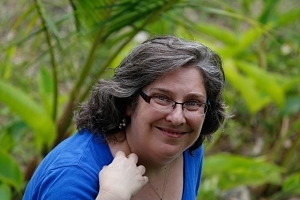 Since 1987, she has been an author on over 60 papers, mostly dealing with the flight of bats, but also including fascinating work on the mechanics of tongue operation in Glossophaga soricina. She leads a group of biologists and engineers who consistently present us with a different perspective about the operations of bats. It is significant that undergraduate students often are co-authors on her published papers and other contributions. Her presentations are clear and effective. She has a great talent for making biomechanics readily accessible to non-specialist audiences. She also takes pains to involve members of her laboratory in these exercises, whether locally or abroad. In the field, she works well with others whether colleagues or students. She sets high standards for herself and for others and establishes a positive, stimulating and supportive environment. In addition to her role as a researcher and supervisor of student research, Sharon has contributed strongly to the teaching function of the university as well. In 2013 she received the Distinguished Alumni Service Award from the University of Chicago and in 2012 she was a featured researcher in the Air Force Office of Scientific Research 60th anniversary video. NASBR was proud to award her the 2016 Gerrit S. Miller Jr. Award. 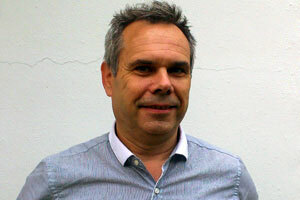 Gareth Jones is Professor of Biological Sciences at the University of Bristol, U.K. Gareth received his B.Sc. (Hons) from the University of London before completing a Ph.D. on the behavioural ecology of birds at the University of Stirling. He then started life in Bristol as a Royal Society University Research Fellow. Some of Gareth's key achievements include leading research on the discovery of a new, abundant species of European bat, the first mammal species to be described from Britain in recent years; being involved in the discovery of 3 further cryptic species of bat, and driving research on how cryptic species contribute to bat biodiversity worldwide; elucidating unusual social organisation (matrilineal structure and intra-lineage polygyny) in bats; determining when echolocation is ineffective for bats, and elucidating how moths respond to echolocation calls of bats; pioneering methods for the acoustic identification of bats and the development of acoustic monitoring; leading research on potential adverse effects of street lighting on bats, triggering wider interest in negative effects of lighting on animals; using presence-only modelling to predict bat distributions and to predict responses under climate change scenarios; producing some of the first papers using molecular methods to identify insect prey eaten by bats and building capacity for bat research in China and India, leading to research on genes involved in vocalization and hearing in echolocation. Gareth has supervised over 40 Ph.D. students to completion, many of whom are academics in universities throughout the world, and is author of more than 270 peer-reviewed articles. He is now primarily interested in conservation biology, and works on a wide variety of taxa. Robert Baker (1942-2018) was a Professor in the Department of Biological Sciences at Texas Tech University in Lubbock, Texas. He received a B.S. from the Arkansas A&M College in 1963, an M.S. from Oklahoma State University in 1965 and a Ph.D. in Zoology from the University of Arizona in 1967. From Arizona, Robert moved directly to a faculty position at Texas Tech University, where he spent his entire career. After moving through the normal academic progression from Assistant to Full Professor, he was named Horn Professor in the Department of Biological Sciences (1979), and he also held positions as Director, Natural Science Research Laboratory (from 1976), Curator of Mammals, and Curator of Genetic Resource Collection, Museum of Texas Tech University. He began attending NASBR early on and participated fairly regularly until retirement. Robert was an amazingly productive scientist, attested by his authorship of 438 scientific publications, with more still appearing regularly. Most of those were on bats, and he described 2 subfamilies, 2 tribes, 4 subtribes, 1 genus, 2 subgenera, 15 species, and 2 subspecies during his career. Robert’s lab at TTU always focused on fieldwork and the collection of voucher specimens to accompany all phases of lab work that might follow. After a developmental leave in 1986 working with Rodney Honeycutt (a former student of his) at Harvard University, his early focus on karyology branched out to include a variety of molecular techniques over the years, including in situ hybridizations, G and C chromosomal banding, starch gel electrophoresis, restriction enzyme mapping, DNA sequencing, construction and probing of cosmid and plasmid libraries, and differential expression of genes. To collect the specimens necessary to do the molecular work, Robert worked in Mexico, Guatemala, El Salvador, Honduras, Nicaragua, Costa Rica, Panama, Colombia, Venezuela, Suriname, Ecuador, Peru, Trinidad, Grenada, Dominica, Guadeloupe, Montserrat, Puerto Rico, Jamaica, Cuba, Tunisia, England, Ukraine, Russia, and the U.S. During his tenure, Robert saw the mammal collection at TTU grow from about 5,000 to almost 120,000. Working with students was always a major focus for Robert, and he supervised more than 50 Master’s and 50 Ph.D. students over the years. Robert was very active in the American Society of Mammalogists (ASM), where he served as President from 1994-1996. In 1980 he received the C. Hart Merriam Award, the H.H.T. Jackson Award in 1994, and the Joseph Grinnell Award in 2000. In 2008, he was elected to Honorary Membership in ASM. 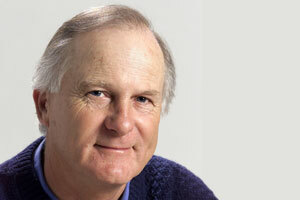 A recent obituary listed more than 25 awards received by Robert during his career. 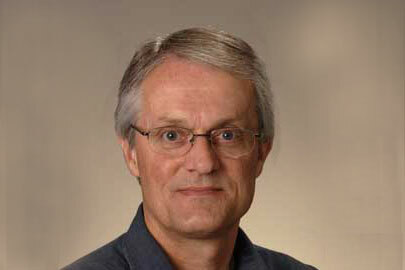 Mark Brigham is a Professor of Biology at the University of Regina in Regina, Saskatchewan Canada. He received a B.Sc. from Queen’s University (Kingston) in 1983. 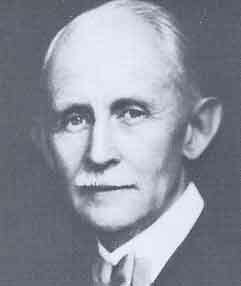 Both of his graduate degrees were supervised by Brock Fenton, an M.Sc. in Biology from Carleton University in 1985 and a Ph.D. in Biology from York University in 1988. After a Post-doc in Calgary working with Robert Barclay, he took up his position in Regina in 1990. 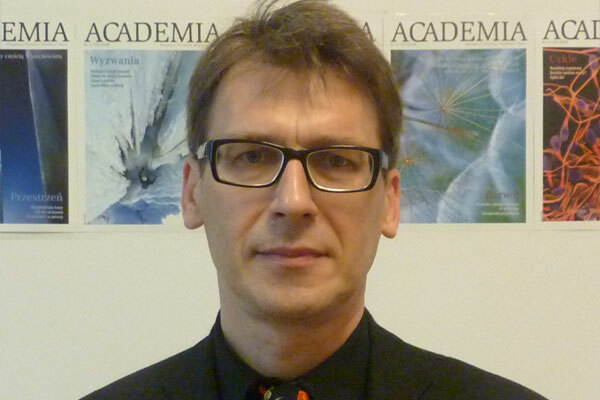 He attained the rank of Full Professor in 2000. He attended his first NASBR in Fort Collins, CO in 1983 and has with a number of students participated almost every year since where he has been known to give the occasional talk on feathered bats, namely nightjars. He is currently the Secretary of the Miller Award holders. As of 2017, Mark had authored over 170 scientific publications. He has supervised more than 50 graduate student projects. He is the recipient of University of Regina awards for Undergraduate Teaching, Public Service and Graduate Student Mentorship. 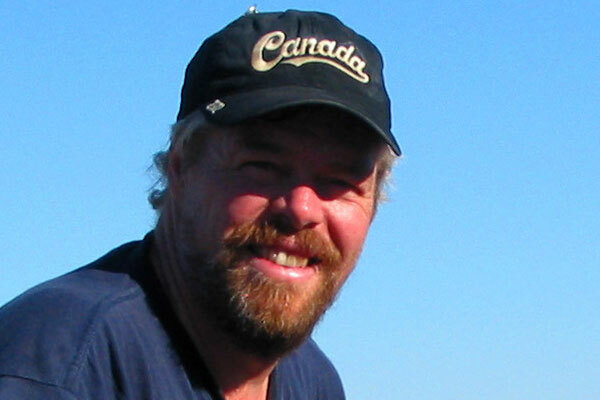 He was the first Canadian to receive (2008) the Joseph Grinnell Award from the American Society of Mammalogists. Aside from research and teaching which he loves, he plays hockey, badminton, golf and curling. He enjoys the physical aspects as well as the social and does love to compete. The sport helps offset the fact that he really enjoys food and is married to a wonderful cook (Anne, for nearly 35 years). He loves conversation, especially over a glass or maybe two of a full-bodied Barossa Shiraz, a Stellenbosch Pinotage, an Okanagan Valley Riesling or an Uco Valley Malbec. P.W. Freeman is Professor Emerita at the University of Nebraska-Lincoln, and Curator of (Vertebrate) Zoology, University State Museum where she taught courses in general zoology, vertebrate zoology, functional morphology, mammalogy, and museum studies. Trish graduated Randolph-Macon Woman’s College in Lynchburg VA with an AB in Biology in 1969 and in 1977 received her PhD from University of New Mexico in Albuquerque. Between degrees she was Scientific Assistant in the Department of Mammalogy, American Museum of Natural History in New York where her mentors were Richard Van Gelder, Sydney Anderson, Karl Koopman, Guy Musser, Hobart Van Deusen, and paleomammalogist, Malcolm McKenna. There her interest in evolution and form and function rose to the level of seeking a graduate degree. 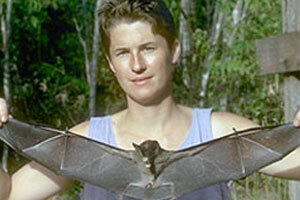 Freeman received her PhD from James S. Findley, where she used morphometrics to resolve systematic, natural history, and evolutionary questions in molossid bats. She was especially interested in finding natural morphological groupings of species. Further, certain molossids with robust skulls and teeth divided the insect community by eating harder insects such as beetles in contrast to others with gracile skulls and jaws that ate softer prey such as moths. After her PhD Freeman was Assistant Curator and Head of Mammals at Field Museum of Natural History in Chicago. She oversaw renovation and move of collections into new quarters. She won substantial funding to complete the project before she left for the University of Nebraska-Lincoln in 1981. Freeman quantified transitions at the tooth-food interface of insectivorous bats to those with derived diets of vertebrates, fruit, pollen, nectar, and blood. She proposed how Phyllostomid bats with their diverse diets may have evolved. She experimentally quantified forces that actual and fabricated teeth made during indentation and puncturing as well as forces taken to cut through a diversity of fresh insects. She and a colleague devised a field technique to measure bite force of living bats and rodents with field work locally and in the neotropics. Before retirement in 2015 she and colleagues studied distributions and migratory movements of Myotis septentrionalis, the arrival of white-nose syndrome into Nebraska, and subsequent reduction of that species in the state. She found microhabitat availability outside traditional caves/quarries in winter and summer roosts by netting, acoustics, and radio-tracking. Freeman was an active member of the American Society of Mammalogists, was awarded the 1974 Shadle Fellowship, served on committees including Associate Editor for the Journal of Mammalogy. She was also active in NASBR on committees, board of directors, and hosted bat meetings in Lincoln in 1990 and 2003. 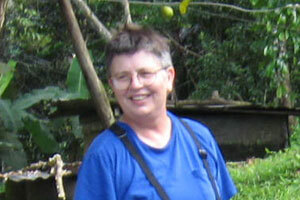 In 2001 Trish was awarded the Gerritt Miller for her contributions to bat biology. In 2017 a newly discovered molossid bat netted in Panama was named for her: Cynomops freemani, Freeman’s dog-faced bat. Ted retired from the University of Miami in 2008 and lives in Tucson, AZ. He received a BA from Albion College in 1964 and a MS and PhD from the University of Michigan in 1968 and 1969, respectively. He was an Assistant and then an Associate Professor of Biology at the University of Missouri-St. Louis in 1969-78. He joined the Department of Biology, University of Miami in 1978 and was promoted to Full Professor in 1980. Ted is well-known for his pioneering work on ecological interactions between plant-visiting phyllostomid bats and their food plants. 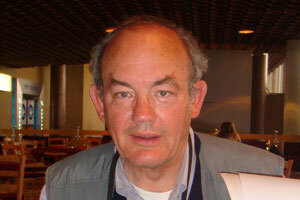 He and his students presented many of their research results at NASBR meetings from the early 1970s until 2009. He initially studied rodent and bat populations in Panama in 1966-67. 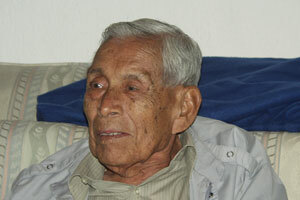 He and his students studied frugivore-fruit interactions in Costa Rica from 1970 to 1986. 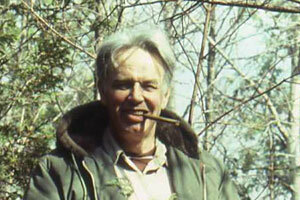 His group then studied nectar bat-cactus flower interactions, primarily in northern Mexico, from 1989 to 2000. He finished his major research by studying the evolution of three lineages of West Indian phyllostomid bats in 2000-2006. In addition to publishing over 150 papers, chapters, reviews, etc., he has authored/co-authored/edited nine books. Five edited books helped to synthesize four research fields: fruits and frugivores, columnar cacti and their mutualists, island bats, and most recently, the adaptive radiation of phyllostomid bats. Two of his books (‘A Batman in the Tropics’ and ‘No Species is an Island’) were written for a general audience, and, along with co-author W.J. 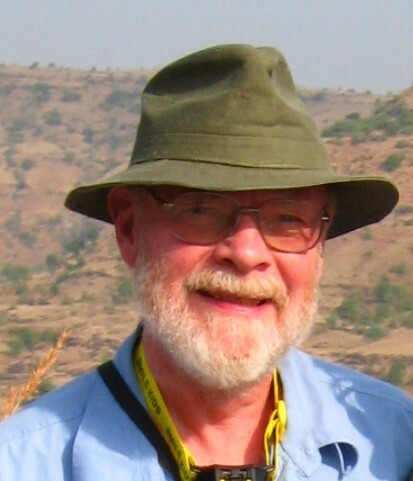 Kress, he synthesized the entire field of ecological and evolutionary interactions between tropical vertebrate nectarivores and frugivores and their food plants in ‘The Ornaments of Life.’ During his career, Ted received several awards: AAAS Fellow, Senior Fulbright Fellow, NSF Mid-career Fellow, G.S. Miller Jr. Award, the C. Hart Merriam Award (American Society of Mammalogists), and a Distinguished Alumni Award from Albion College. In retirement, he is involved in a citizen science project studying the use of hummingbird feeders by nectar bats in southern Arizona and is a serious amateur photographer specializing in wildlife and ‘people doing interesting things.’ He has been married to Marcia Strandberg for over 50 years, and they have two grown children and two grandchildren. 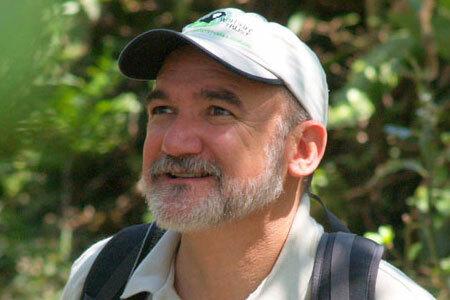 Gary McCracken is Professor of Ecology and Evolutionary Biology at the University of Tennessee, Knoxville. He received a B.S. in Biology from the University of Notre Dame in 1970, and completed his Ph.D. on the population biology and breeding systems of the white-lipped land snail at Cornell University in 1976. Gary’s introduction to bats (besides catching one in a butterfly net at the Syracuse NY Airport) began in 1976 when he accepted a post-doctoral fellowship working with Jack Bradbury on the social behavior of the Greater Spear-nosed Bat (Phyllostomus hastatus) in Trinidad, West Indies. Although he did a subsequent post-doc on breeding systems of land mollusks, and retains abiding interests in land snails and slugs, his time with P. hastatus, and the community of bat researchers that he met at his first his first NASBR meeting in Albuquerque, N.M. in 1978, convinced Gary that bats were the system on which he should mostly work. Since then, Gary has attended almost every NASBR meeting and hosted the meetings in 1989 and 2018. 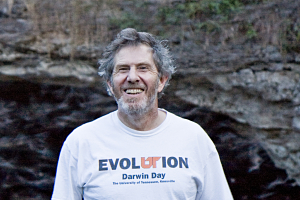 Throughout his career, Gary has followed behind molecular biologists to pick up genetic techniques that can be applied to field research to investigate what he sees as interesting questions in evolution, behavior and ecology. Early on his research coupled intensive field research with the application of genetic markers to investigate mating systems, relatedness, and social behavior in bats. He has had a long-time relationship with the amazing Brazilian free-tailed bat (Tadarida brasiliensis) that has led him, his students, post-docs, and colleagues to investigate mother-pup nursing relationships and communication in nursery crèches. Later work with these bats has investigated high altitude foraging and flight behaviors, links to insect migrations, and the ecosystem services that bats provide by reducing insect pest populations, damage to crops, and the need for pesticides. All of his best ideas have come from reading the literature, and his best work has been done in collaboration with amazing students and colleagues. Gary has supervised 32 graduate students, many of whom are active with NASBR, and is author of over 150 scientific publications. Much of his current effort is directed toward the conservation of bats and their habitats. After graduating from Cambridge University, Paul’s work on bats began in a research institute in London Zoo in 1966 with a brief to breed British bats in captivity and unravel the mysteries of their reproduction, particularly sperm storage. After a PhD from the University of London and a postdoc at The Unit of Reproductive Biology, University of Liverpool, he moved to Aberdeen University where he remained for the rest of his career. He retired as Regius Professor of Natural History in 2009 and migrated 700 miles southwest to the warmer climate of Cornwall where he is now an Honorary Visiting Professor at the Centre for Ecology and Conservation, Cornwall campus of the University of Exeter. At Aberdeen he established a research group working on bat ecology, energetics, molecular genetics and finally on the ecology and conservation of Malagasy bats. In 1985 he organised the Seventh International Bat Research Conference together with the European Bat Research Symposium. 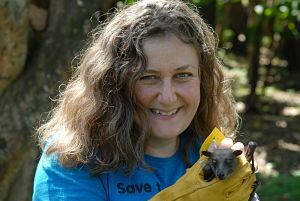 He co-founded the UK’s Bat Conservation Trust and in Madagascar the NGO Madagasikara Voakajy. He has supervised 50 PhD students, half of them working on bats. He has authored and co-authored about 500 publications – mainly primary research papers but also book chapters, edited books and two conservation Action Plans. Before he retired, he and his students were regular attenders at NASBR which he considered to be the best of the bat meetings. He was awarded the UK Mammal Society’s Silver Medal and a Lifetime Achievement Award and Honorary Life Membership of the Bat Conservation Trust. He is also an Honorary Member of the American Society of Mammalogists. Don Wilson is Curator Emeritus in the Division of Mammals at the National Museum of Natural History in Washington, D.C. He received a B.S. from the University of Arizona in 1965, an M.S. and a Ph.D. in Biology from the University of New Mexico in 1967 and 1970 respectively. After a Post-doc in Costa Rica with Dan Janzen, he moved to the Smithsonian in 1971 where he worked until retirement in 2011. He attended the second NASBR in Albuquerque in 1971, and participated regularly until retirement. Don is the author of 261 scientific publications including books on the Mammals of New Mexico, three monographs on bats, three volumes on Biodiversity, and two editions of Mammal species of the World. In 1997, he published Bats in Question - The Smithsonian Answer Book. In recent years, he has edited a series of books for the Educational Publisher, Dorling Kindersley, including Animal, Human, the Smithsonian Handbook of Mammals, and Mammal. He also wrote a field guide to North American mammals and the Smithsonian Book of North American Mammals. He is currently editing the Handbook of Mammals of the World, with 7 volumes published and 2 to go, including the final one on bats. He has given over 100 papers at scientific meetings. His research on bats has taken him to more than 70 countries around the world. 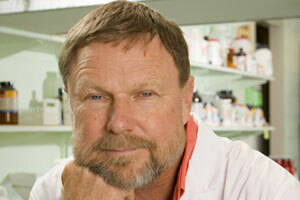 He is the recipient of a Smithsonian Institution Award for Excellence in Tropical Biology, a U.S. Fish and Wildlife Service Outstanding Publication Award, a Reconocimiento for Outstanding Contributions to Science from the Associacion Mexicana de Mastozoologia, the Gerritt S. Miller Award from the North American Symposium on Bat Research, and the Hartley H. T. Jackson Award of the American Society of Mammalogists. 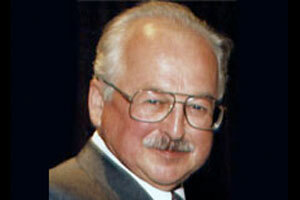 In 2002 he received the American Society of Mammologists’ highest award: Honorary Membership. In 2016 he was also awarded Honorary Membership in the Ecuadoran Mammal Society. Merlin Tuttle obtained his Ph.D. with honors at the University of Kansas, served as Curator of Mammals at the Milwaukee Public Museum, published extensively on population ecology and behavior of endangered gray bats and on behavior of frog-eating bats. He wrote two books, founded and led Bat Conservation International for nearly 30 years, participated in all 46 meetings of NASBR and has been a leading spokesman for bat conservation. 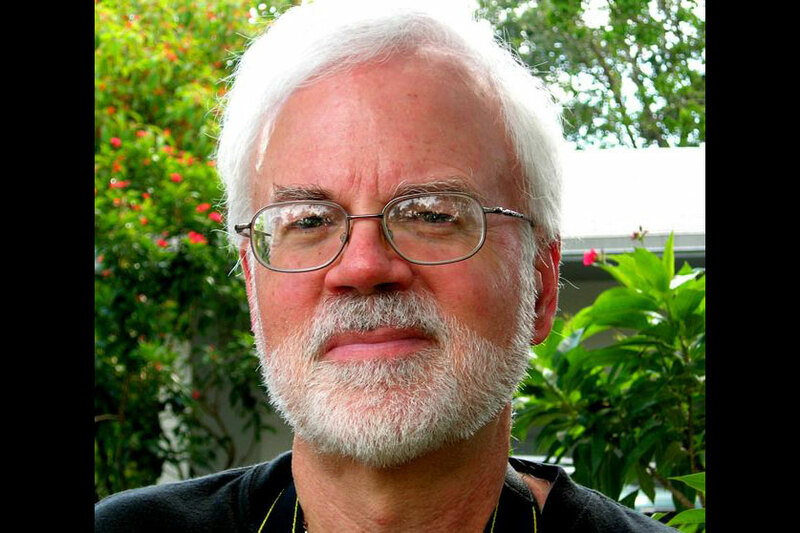 His photography, featured in five articles in National Geographic and in countless other publications, has provided a firm foundation for conservation efforts worldwide. He has lectured at most of America’s leading institutions, and has received numerous awards, including The Gerrit S. Miller, Jr. Award, The Society for Conservation Biology’s Distinguished Achievement Award and The National Fish and Wildlife Foundation’s Chuck Yeager Award. He retired from leadership at Bat Conservation International in 2009 and founded Merlin Tuttle’s Bat Conservation in 2014. He continues a full-time schedule of international travel and photography on behalf of bats. 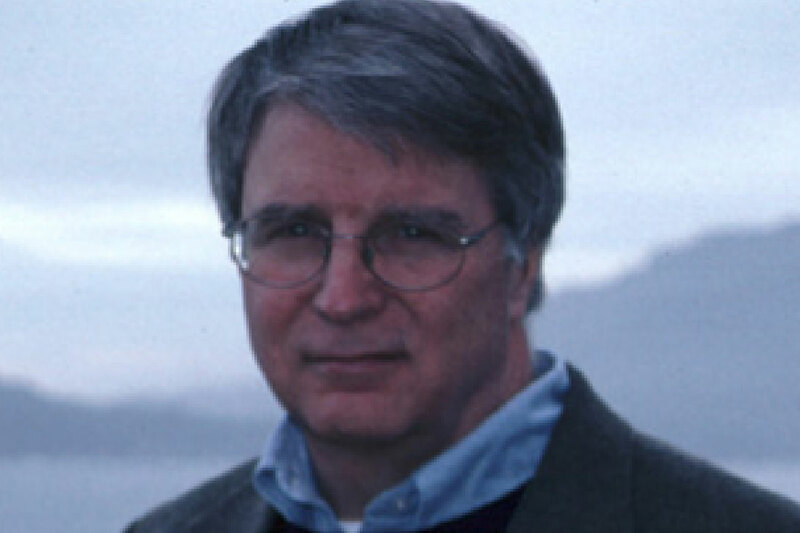 Tom Kunz is Professor emeritus at Boston University. After completing a B.S. in Biology in 1961, and a Masters in Education in 1962, at Central Missouri State University, Tom taught biology and coached football and track at Shawnee Mission West High School in Overland Park, Kansas. He then completed a M.S. degree in biology from Drake University in l968, and his Ph.D. in Ecology and Systematics from the University of Kansas in 1971. He took his position at Boston University in 1971, where he remained for his career. Tom’s dissertation focused on the population biology of the cave bat, Myotis velifer, and his early research was on the ecology and physiological ecology of the little brown bat, Myotis lucifugus, and the big brown bat, Eptesicus fuscus in New Hampshire and Massachusetts. In addition to his research on bats in New England, he has conducted field research throughout much of the United States, and in India, Malaysia, Ecuador, Trinidad, Puerto Rico, Germany, Sweden, and Costa Rica. His recent research focused on the behavioral ecology and physiological ecology of the Brazilian free-tailed bat, Tadarida brasiliensis in Texas. He was a founder and leading promoter of the emerging field of aeroecology. He was also heavily involved in assessing the impacts of wind-energy development on bats, and assessing the effects of white-nose syndrome on hibernating bats. He developed numerous methods for the ecological and behavioral studies of bats and pioneered applications of thermal infrared imaging in ecology and behavior. Tom directed the research of 31 PhD students, 15 Masters students, 17 Post Doctoral scholars and countless undergraduate students. 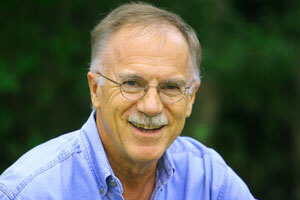 He is the author of more than 240 publications and the editor of 6 books on the ecology and behavior of bats. He is Past-President of the American Society of Mammalogists. In addition to the Gerrit S. Miller Jr. Award he is a recipient of the ASM’s C. Hart Merriam Award, and was elected to honorary membership in the American Society of Mammalogists (the highest award given by the society). Tom is dedicated to NASBR. 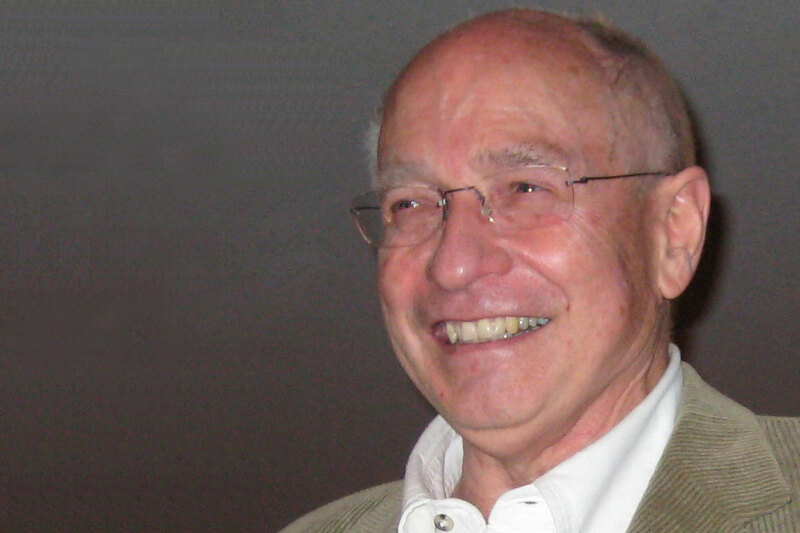 He hosted the joint NASBR-IBRC meeting in Boston in 1995 and participated in every NASBR meeting between 1970 and 2011. Karl Koopman was Curator of Mammals at the American Museum of Natural History in New York from 1961-1985, and continued as Curator Emeritus until his death at the age of 77 in 1997. He received all three of his academic degrees from Columbia University, beginning with the BA in 1943, MA in 1945, and Ph.D. in 1950. As a graduate student of Theodosius Dobzhansky, Karl wrote his dissertation on Drosophila genetics, demonstrating rapid reproductive isolation through natural selection in a paper still widely cited in genetics textbooks. Upon completing his Ph.D., he spent a year teaching at the Middletown Collegiate Center, and six years at Queen’s University in New York. In 1958 he moved to the Academy of Natural Sciences in Philadelphia, and a year later to the Field Museum in Chicago. Karl was very dedicated to the annual meetings of the American Society of Mammalogists (ASM) and to NASBR. He also attended all of the International Symposia on Bat Research, as well as the International Theriological Congresses. 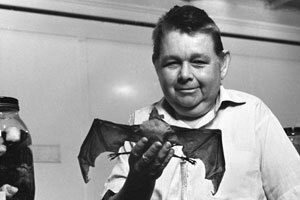 He published over 100 papers and suffice it to say that he had a better grasp on the evolutionary relationships within the entire order Chiroptera than anyone of his generation. Indeed, his classification of bats published in Mammal Species of the World (1993) and in the Handbuch der Zoologie (1994) forms the basis of all of our current work. At NASBR and all other scientific meetings, Karl assumed his familiar place in the front row of paper sessions, and gave his usual scholarly attention to every presentation. His incisive questions punctuated presentations by generations of students at scientific meetings for nearly half a century. In his earlier years, Karl did considerable fieldwork in the Caribbean and South America. The ASM honored Karl for meritorious service with the Hartley H.T. Jackson Award in 1988 and for his outstanding contributions to science by bestowing its highest honor, Honorary Membership, on him in 1990. 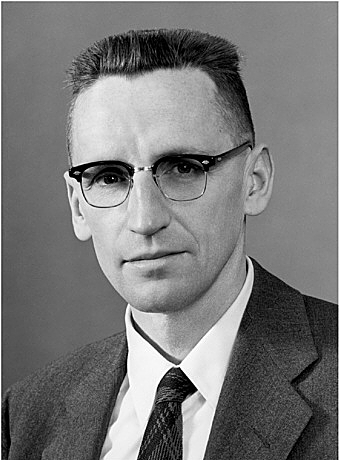 NASBR accorded Karl its highest honor, the Gerritt S. Miller Award, in 1977. 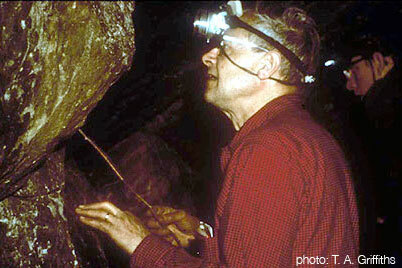 Karl attended every single bat meeting between 1971 and 1996, and was a frequent contributor to Bat Research News, where he published a series of summary papers on the families of bats.